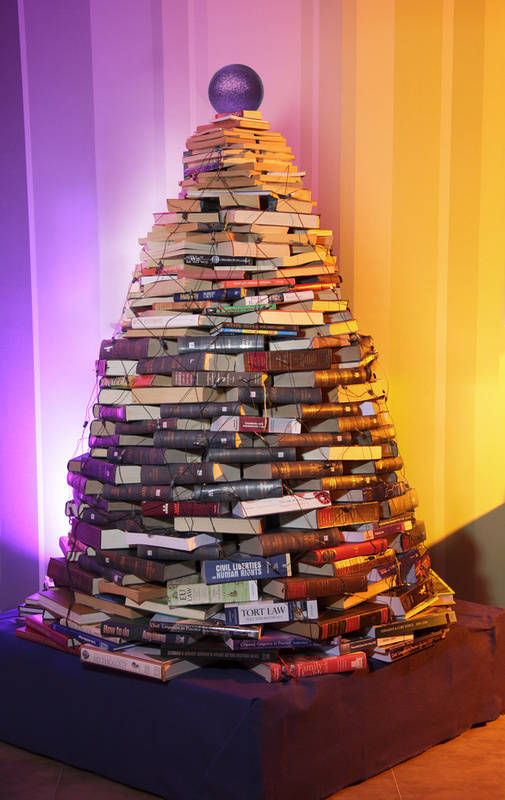 Forget Black Friday, it was Book Friday at Time Central as we welcomed an exciting new addition into the Muckle family – a recycled Book Christmas Tree. Taking pride of place in our Business Lounge the tree symbolises our green achievements and is also a nod to our very learned roots. Working with the creative team from House of Objects, the tree took 2 hours to build from start to finish. Made entirely from unwanted books donated by our people and House of Objects, the tree will serve a festive purpose but won’t go to waste. All books will be put back into our Charity of the Year book sale to raise much needed funds for TOMA fund. And with every Christmas card we don’t write we’ll donate the cash we would have used to TOMA, creating a tree bauble with a message to our fellow colleagues. The festive creativity doesn’t stop there. House of Objects will also run a workshop to help our team create some unique decorations for home use. House of Objects on 0191 266 2269.